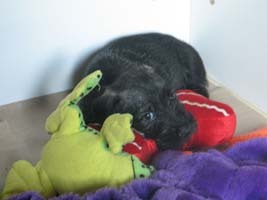 WE HAVE A PUPPY ! We forward new section of our site "I offer a hand and heart!" TRELS', BRAVO !!! CONGRATULATIONS TO ALL !!! 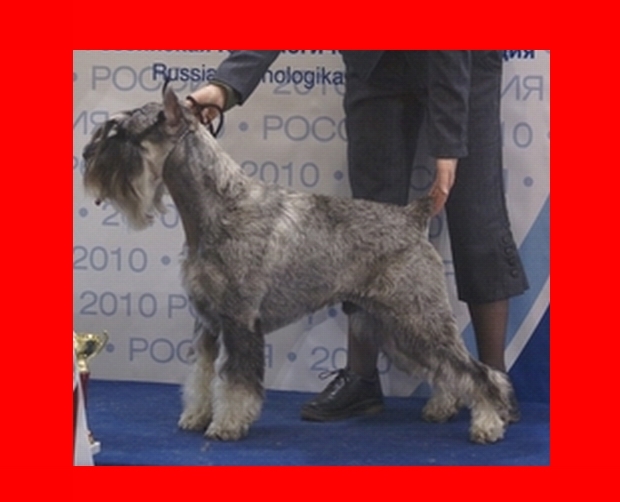 International dogs show all breed CACIB-FCI "Russia-2011"(8-9/10/2011 Moscow, Russia). 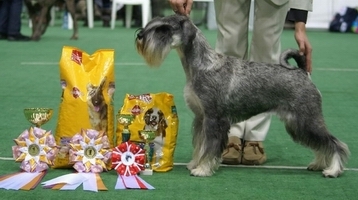 Special schnauzer show "Winner Club" to "Russia-2011"(8-9/10/2011 Moscow, Russia). TRELS YUVENTA VLADA (Trels Esquire Frederik * Epoha Kurabo Tootsie) (own. Laktionov) - 1 ex., CW (cl. veteran), Best Veteran ! 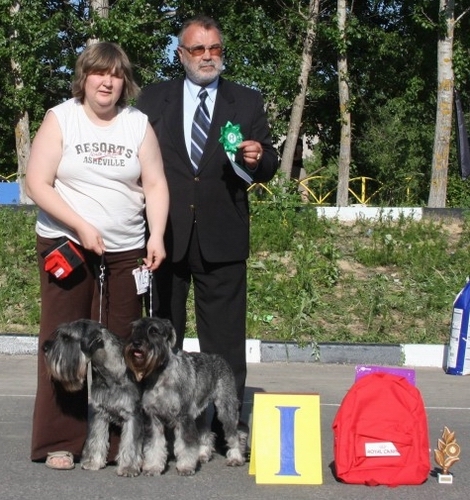 2*International dogs show all breed 2*CACIB-FCI (8-9/10/2011 Kishenau, Moldova). TRELS HEL'SINGGELIS (Trels Esquire Frederick * Trels Ziglindagelis) (own. Uspenskaya L.) - 2*CACIB, 2*BOS, BOB, Champion of Moldova ! TRELS ZHARPTICAGELIS (Seladys Perro Kauppi * Trels Ziglindagelis) (own. T. Lisanskaya) - 2*CACIB, 2*BOS, BOB, Champion of Moldova ! 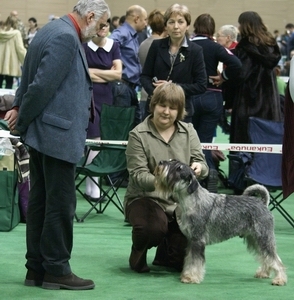 National dogs show all breed CAC-FCI (2/10/2011 St. Peterburg, Russia). TRELS WITH LOVE (Santa Kniris Fedor Schalyapin *Laky Ticket Rezlark) (own. E. Suftina) - CW (junior cl. ), JCAC =>New Junior Ch. of Russia ! 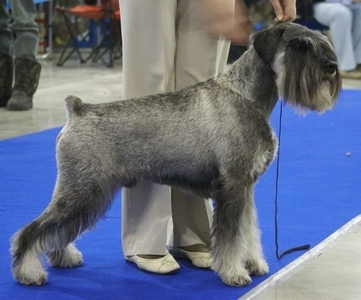 2*Special schnauzer show (24-25/09/2011 Murmansk, Russia). AVE CONCORDE ZLATA ZAGIRA TRELS (Absolute Power of Daiquincy * Ave Concorde Rumba) (own. I. Paramonova) - CW (cl. 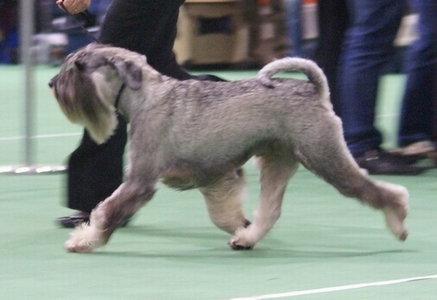 open), CC, BOS, BOB, BIS Schnauzer Show ! 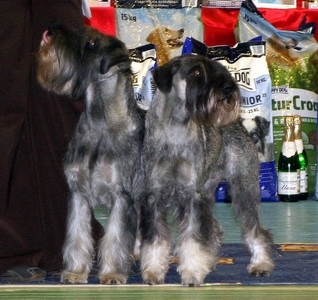 National dogs show all breed CAC-FCI (25/09/2011 Tver', Russia). TRELS WELCOME DREAM (Santa Kniris Fedor Schalyapin *Laky Ticket Rezlark) - CW (cl. junior), JCAC, Best Junior ! BOB ! 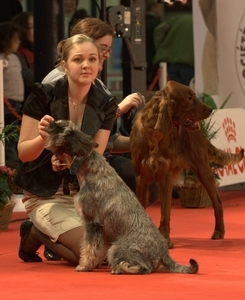 National dogs show all breed CAC-FCI (25/09/2011 Moscow, Russia). TRELS HENRY (Trels Gaidengelis * Trels Bonbon) (own. I.Trubnikova & O. Kupriyanova) - CW (cl. veteran), Best Veteran, BIS Veteran ! => 10*BIS VETERAN to 2011 yaer !!! Trels Henry & Trels Easy Drive - BIS Couple of Show ! RUS PITMARK NOBEL PRIZE (Chelines Expressamente Mio * Rus Pitmark Mia Cosa Nostra) (own. S. Kalenova) - CW (cl. intermadia), BOS, BOB ! 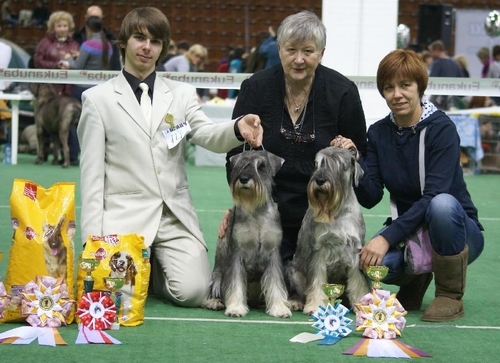 National dogs show all breed CAC-FCI (24/09/2011 Il'inskiy, Russia). TRELS HENRY (Trels Gaidengelis * Trels Bonbon) (own. I.Trubnikova & O. Kupriyanova) - CW (cl. veteran), Best Veteran, BIS Veteran ! TRELS WELCOME DREAM (Santa Kniris Fedor Schalyapin *Laky Ticket Rezlark) - CW (cl. junior), JCAC, Best Junior ! New Junior Ch. of Russia ! 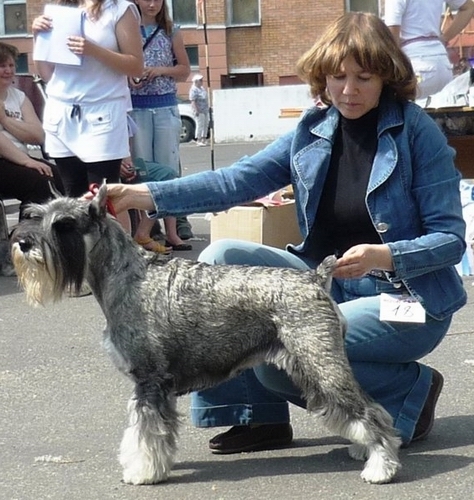 National dogs show all breed CAC-FCI (18/09/2011 Kolomna, Russia). 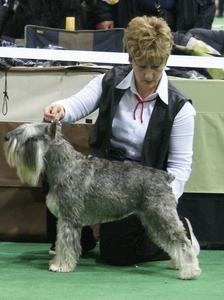 National dogs show all breed CAC-FCI (17/09/2011 St. Peterburg, Russia). 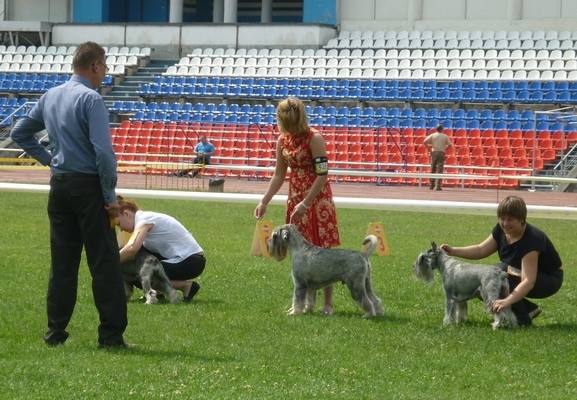 National dogs show all breed CAC-FCI (10/09/2011 Pushkino, Russia). TRELS HENRY (Trels Gaidengelis * Trels Bonbon) (own. I.Trubnikova & O. Kupriyanova) - CW (cl. veteran), BOB ! Best Veteran, Res.BIS Veteran ! Res.BIG ! 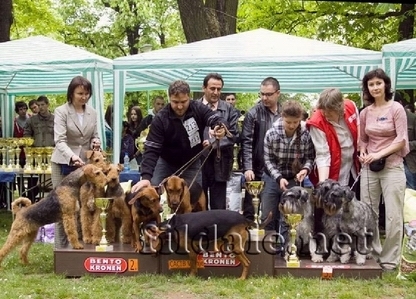 International dogs show all breed CACIB-FCI "Dracula Dog Show" (11/09/2011 Tyrgu-Murish, Romania). TRELS SHERY GREY SAYMON (Grey Tetis Saymon Bery * Trels Princessagelis) (own. Nesvickaya Z.) - CW (cl. champion), CAC, CACIB, BOS, BOB ! => Interchampion !!! 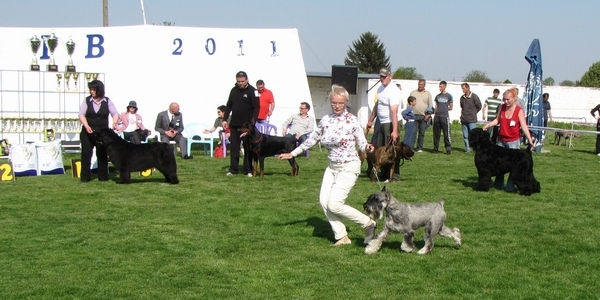 International dogs show all breed CACIB-FCI "Dracula Dog Show" (10/09/2011 Tyrgu-Murish, Romania). TRELS SHERY GREY SAYMON (Grey Tetis Saymon Bery * Trels Princessagelis) (own. Nesvickaya Z.) - CW (cl. 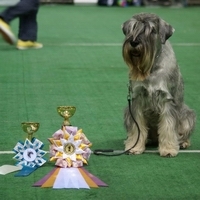 champion), CAC, Res.CACIB, Champion of Romania ! National dogs show all breed CAC-ROM-FCI (10/09/2011 Tyrgu-Murish, Romania). TRELS SHERY GREY SAYMON (Grey Tetis Saymon Bery * Trels Princessagelis) (own. Nesvickaya Z.) - CW (cl. champion), CAC, BOS, BOB ! 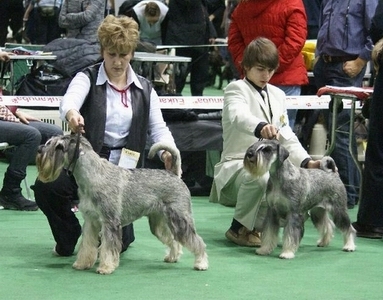 National dogs show all breed CAC-UA-FCI (04/09/2011 Severodoneck, Ukraina). 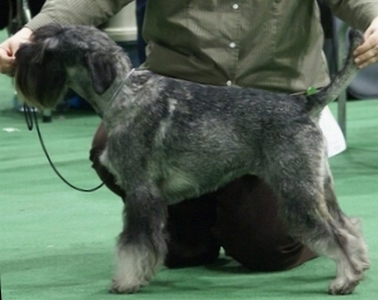 New Champion to Kennel "TRELS" ! TRELS KLEOPATRA (Trels Zigmundgelis * Trels Uslada dlya Glaz) (own. 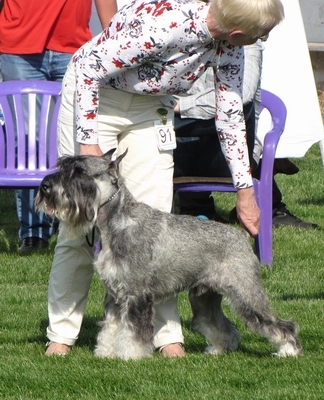 Trubnikova & Troschina) - 2*CACIB, Champion of Romania, Grand Ch. of Romania, Ch. of Chypre, Georgia, Moldova, Bulgaria & Macedonia ! 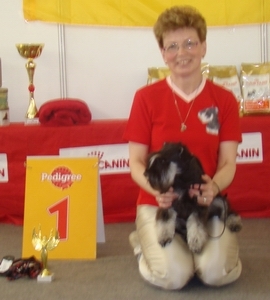 National dogs show all breed CAC-MN-FCI (08/08/2011 Albena, Bulgaria). TRELS HEMINGWAYGELIS (Trels Esquire Frederik * Trels Ziglindagelis) (own. M. Konovalova) - CAC, BOS ! Champon of Montenegro ! TRELS ZHAN-ZHAK RUSSOGELIS (Seladys Perro Kauppi * Trels Ziglindagelis) (own. Konovalova M.) - CAC, Champon of Montenegro ! National dogs show all breed CAC-MC-FCI (07/08/2011 Albena, Bulgaria). TRELS HEMINGWAYGELIS (Trels Esquire Frederik * Trels Ziglindagelis) (own. M. Konovalova) - CAC, BOS, BOB ! Champon of Macedonia ! 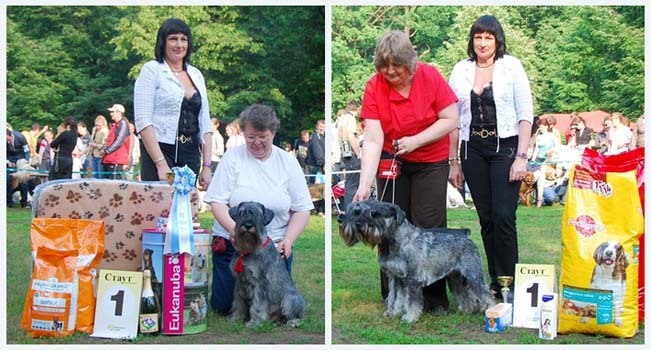 International dogs show all breed CACIB-FCI "Black Sea Winner Albena 2011" (06/08/2011 Albena, Bulgaria). TRELS HEMINGWAYGELIS (Trels Esquire Frederik * Trels Ziglindagelis) (own. M. Konovalova) - CAC, BOS, CACIB, BOB ! Champon of Bulgaria ! Black Sea Winner!!! 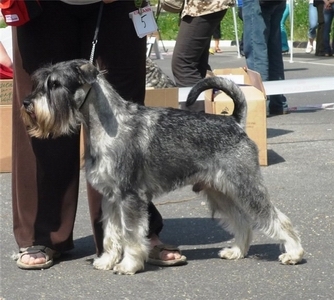 National dogs show all breed CAC-GEO-FCI (04/08/2011 Albena, Bulgaria). TRELS ZHAN-ZHAK RUSSOGELIS (Seladys Perro Kauppi * Trels Ziglindagelis) (own. Konovalova M.) - CAC, BOS, BOB ! Champon of Georgia ! 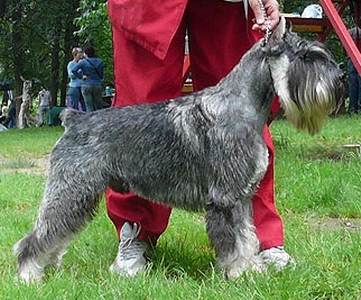 Inrternational dogs show all breed CACIB-FCI Crufts Qualification (03/08/2011 Albena, Bulgaria). TRELS ZHAN-ZHAK RUSSOGELIS (Seladys Perro Kauppi * Trels Ziglindagelis) (own. Konovalova M.) - CAC, BOS, CACIB, BOB ! Champon of Bulgaria ! 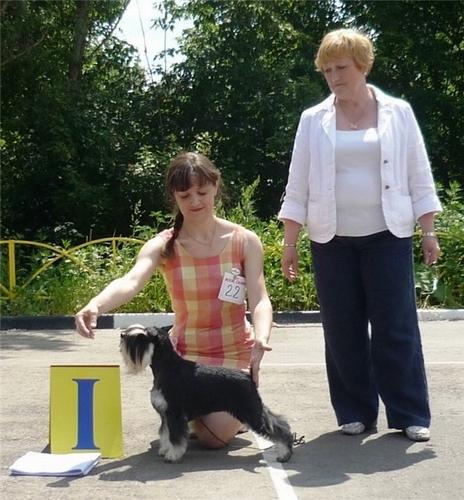 Cruft's Qualification ! BIG-4 ! 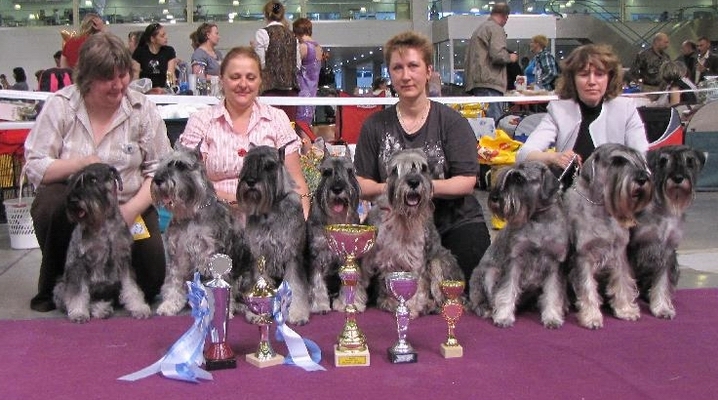 National dogs show all breed CAC-FCI "Aphrodite Balkanian Winner Show" (02/08/2011 Albena, Bulgaria). TRELS ZHAN-ZHAK RUSSOGELIS (Seladys Perro Kauppi * Trels Ziglindagelis) (own. Konovalova M.) - CAC, BOS ! Champon of Chypre ! 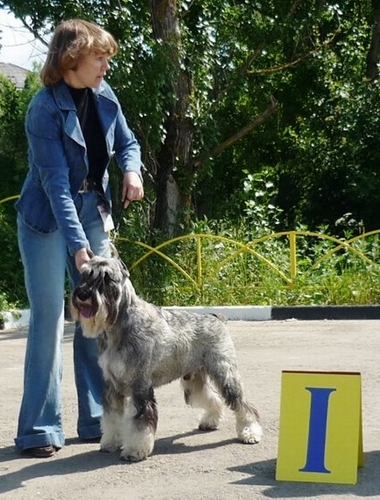 International dogs show all breed CACIB-FCI (01/08/2011 Albena, Bulgaria). TRELS ZHAN-ZHAK RUSSOGELIS (Seladys Perro Kauppi * Trels Ziglindagelis) (own. Konovalova M.) - CAC, BOS, CACIB! 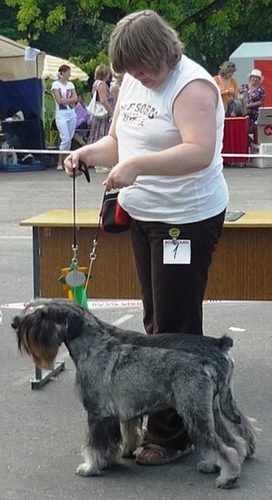 International dogs show all breed CACIB-FCI (31/07/2011 Konstanta, Romania). TRELS ZHAN-ZHAK RUSSOGELIS (Seladys Perro Kauppi * Trels Ziglindagelis) (own. Konovalova M.) - CAC, BOS, CACIB, BOB ! Champion of Romania ! 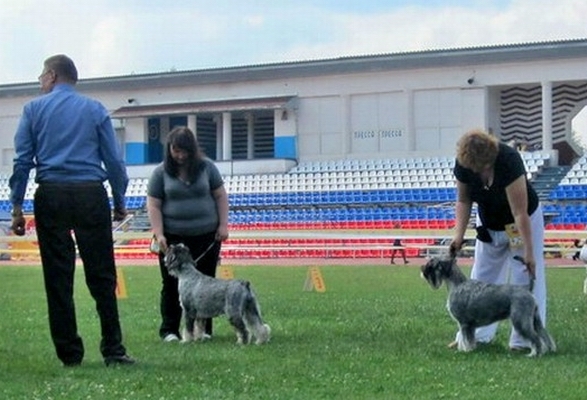 International dogs show all breed CACIB-FCI (30/07/2011 Konstanta, Romania). TRELS HEMINGWAYGELIS (Trels Esquire Frederik * Trels Ziglindagelis) (own. M. Konovalova) - CAC, BOS, CACIB ! Champion of Romania ! International dogs show all breed CACIB-FCI (28/08/2011 Obronovac, Serbia). AVE CONCORDE ZLATA ZAGIRA TRELS (Absolute Power of Daiquincy * Ave Concorde Rumba) (own. I. Paramonova) - 1 ex., CW (cl. champion), CAC, Champion of Serbia ! National dogs show all breed CAC-MD-FCI (27/08/2011 Ohrid, Macedonia). AVE CONCORDE ZLATA ZAGIRA TRELS (Absolute Power of Daiquincy * Ave Concorde Rumba) (own. I. Paramonova) - 1 ex., CW (cl. champion), CAC, Champion of Moldova ! 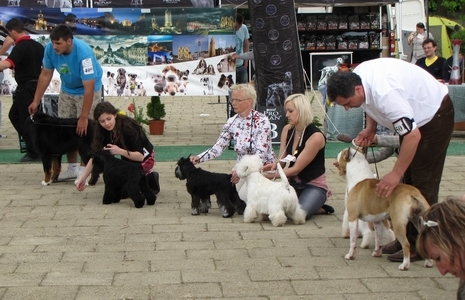 International dogs show all breed CACIB-FCI (26/08/2011 Ohrid, Macedonia). AVE CONCORDE ZLATA ZAGIRA TRELS (Absolute Power of Daiquincy * Ave Concorde Rumba) (own. I. Paramonova) - 1 ex., CW (cl. champion), CAC, BOS, CACIB, BOB ! Champion of Macedonia ! 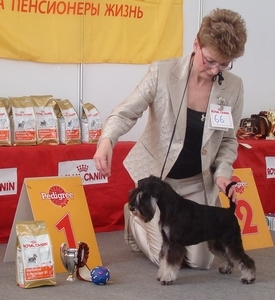 2*National dogs show all breed 2*CAC-BG-FCI (25/08/2011 Ohrid, Macedonia). AVE CONCORDE ZLATA ZAGIRA TRELS (Absolute Power of Daiquincy * Ave Concorde Rumba) (own. I. Paramonova) - 1 ex., CW (cl. champion), CAC, Champion of Bulgaria ! => Champion of Balkan !!! National dogs show all breed "Kennel Club of Montenegro" (24/08/2011 Ohrid, Macedonia). AVE CONCORDE ZLATA ZAGIRA TRELS (Absolute Power of Daiquincy * Ave Concorde Rumba) (own. I. Paramonova) - 1 ex., CW (cl. champion), CAC, BOS, BOB ! BIG-3 ! Champion of Macedonia ! 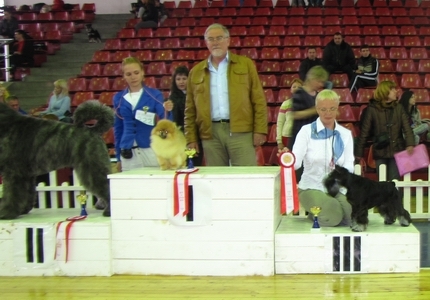 International dogs show all breed CACIB-FCI (20/08/2011 Danilovgrad, Montenegro). AVE CONCORDE ZLATA ZAGIRA TRELS (Absolute Power of Daiquincy * Ave Concorde Rumba) (own. I. Paramonova) - 1 ex., CW (cl. champion), CAC, BOS, CACIB ! 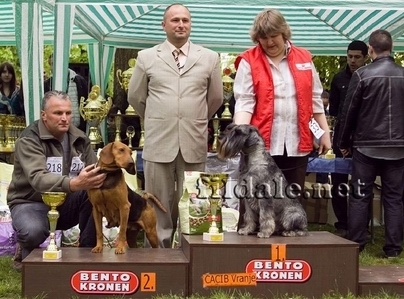 National dogs show all breed CAC-UA-FCI (28/08/2011 Doneck, Ukraina). TRELS WITH LOVE (Santa Kniris Fedor Schalyapin *Laky Ticket Rezlark) (own. E. Suftina) - CW (cl. junior), JCAC, Best Junior, BOB ! BIG-3 ! 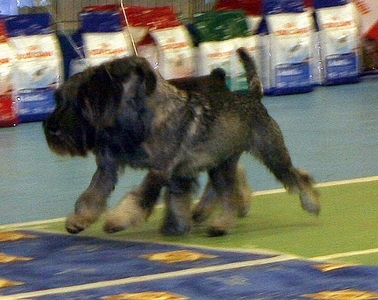 National dogs show all breed CAC-FCI (27/08/2011 Vyborg, Russia). 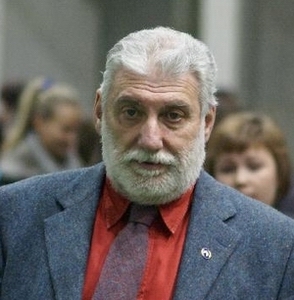 TRELS WITH LOVE (Santa Kniris Fedor Schalyapin *Laky Ticket Rezlark) (own. E. Suftina) - CW (cl. junior), JCAC, Best Junior, BOB ! 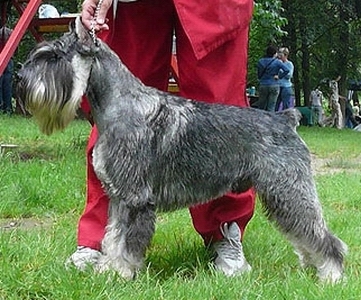 International dogs show all breed CACIB-FCI "Tiraspol'-2011" (7/08/2011 Tiraspol', Moldavia). TRELS EASY DRIVE (Ankor Kurazh Bombastik * Trels Hedviga) (own. Trubnikova & Kupriyanova) - CW (cl. 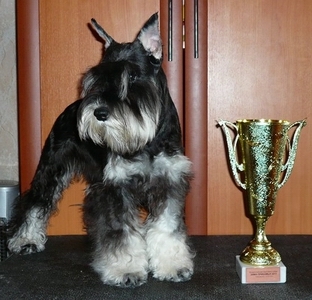 champion), CAC, CACIB, BOS, Super Grand Champion of Moldova ! ABSOLUTE POWER OF DAIQUINCY (Melvin-Anna vd. Vanenblikhoeve * Daiquincy-Dream ze Zahrabske) (own. I. Trubnikova) - CW (cl. open), CAC, CACIB, BOS, BOB, Super Grand Champion of Moldova ! Absolute Power of Daiquincy & Trels Easy Drive - BIS Couple of Show ! Judge: Leos Jancik. 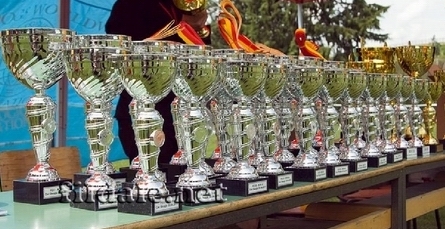 Championship of 2-st group FCI (7/08/2011 Tiraspol', Moldavia). ABSOLUTE POWER OF DAIQUINCY (Melvin-Anna vd. Vanenblikhoeve * Daiquincy-Dream ze Zahrabske) (own. I. Trubnikova) - CW (cl. champion), CAC, BOS, Champion Club of Moldova ! 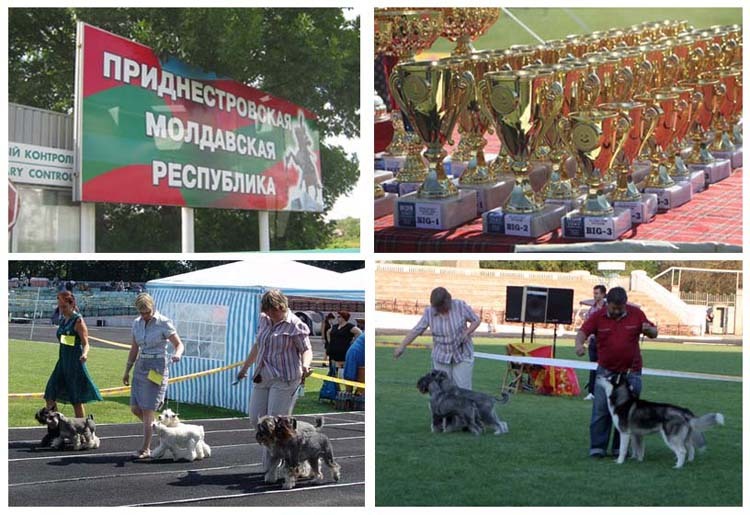 International dogs show all breed CACIB-FCI "Лето-Юг-2011" (6/08/2011 Tiraspol', Moldavia). TRELS EASY DRIVE (Ankor Kurazh Bombastik * Trels Hedviga) (own. Trubnikova & Kupriyanova) - CW (cl. champion), CAC, CACIB, BOS, BOB, Res.BIG !!! Champion of Moldova ! ABSOLUTE POWER OF DAIQUINCY (Melvin-Anna vd. Vanenblikhoeve * Daiquincy-Dream ze Zahrabske) (own. I. Trubnikova) - CW (cl. champion), CAC, CACIB, BOS, Champion of Moldova ! 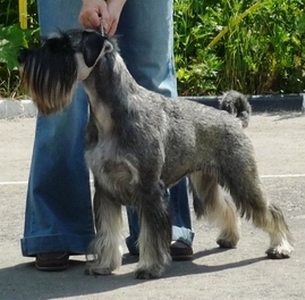 National dog show all breed CAC-MD (6/08/2011 Tiraspol', Moldavia). TRELS EASY DRIVE (Ankor Kurazh Bombastik * Trels Hedviga) (own. Trubnikova & Kupriyanova) - CW (cl. open), CAC, Grand Champion of Moldova ! ABSOLUTE POWER OF DAIQUINCY (Melvin-Anna vd. Vanenblikhoeve * Daiquincy-Dream ze Zahrabske) (own. I. Trubnikova) - CW (cl. open), CAC, BOS, Grand Champion of Moldova ! 3*National dogs show in Moscow 3*CAC (16-17/07/2011 Moscow, Russia). TRELS INTELEGENT (Trels Excelent King * Trels Olompiya Sovershennaya) (own. S. Kurilkina) - 3*CAC, 3*BOS, 3*BOB, New Champion of Russia ! 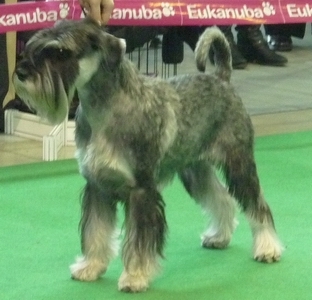 TRELS BEE FAIVORIT FOR ALL (Rus Pitmark Kaitaro * Happy Rezlark) - JCAC, New Junior Champion of Russia ! TRELS HENRY (Trels Gaidengelis * Trels Bonbon) (own. 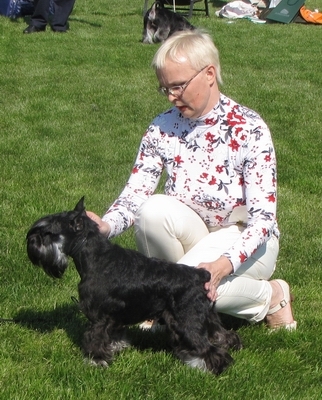 I.Trubnikova & O. Kupriyanova) - BOB, Best Veteran of Breed & BIS Veteran of Show ! TRELS EXCELENT KING (Dinamunde Talivaldis * Trels Olvka Extra Klass) (own. O. Komarova) - 1 ex., CW (open cl. ), CAC, BOS, BOB ! TRELS ZIGLINDAGELIS (Chivas Grand Calvera * Trels Gerhil'dagelis) (own. T.Lisanskaya) - 1 ex., CW (champion cl.) ! 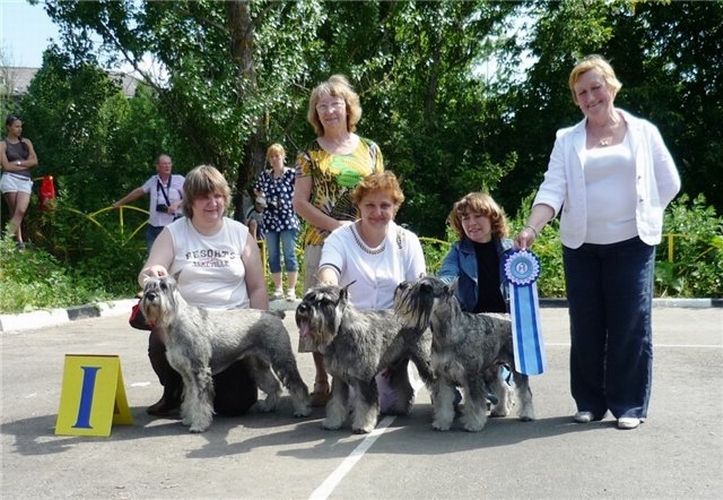 THE NEWS ABOUT OUR ZWERGSCHNAUZERS ! 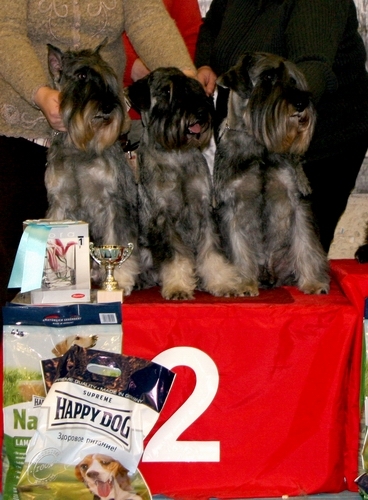 TRELS BIKAMIN ALT LINUKS (Rus Pitmark Kaitaro * Happy Rezlark) - 1 exc., CW (junior cl. ), JCAC, BJ, BOB ! TRELS BIKAMIN ALT LINUKS (Rus Pitmark Kaitaro * Happy Rezlark) - 1 Very promesing, CW (puppy cl. 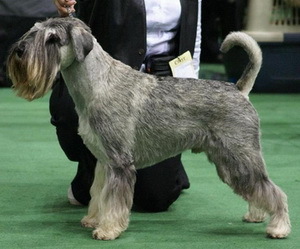 ), Best puppy of breed ! TRELS BIKAMIN ALT LINUKS (Rus Pitmark Kaitaro * Happy Rezlark) - 1 Very promesing, CW (puppy cl. 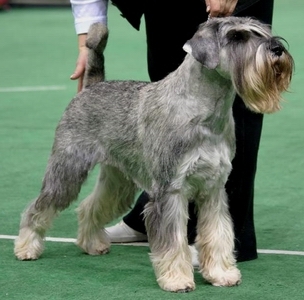 ), Best puppy of breed ! BIS PUPPY !!! 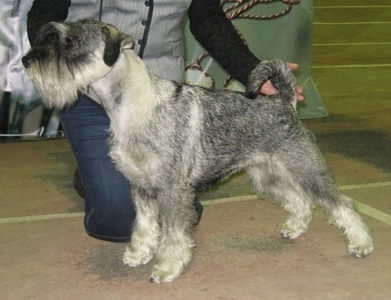 TRELS BLEIZING WINNER FOR TORNADO-SCHIV (Rus Pitmark Kaitaro * Happy Rezlark) (own. Schkabareva & Petrenko) - 1 exc., CW (junior cl. ), Junuor Winner of Ckub !!! 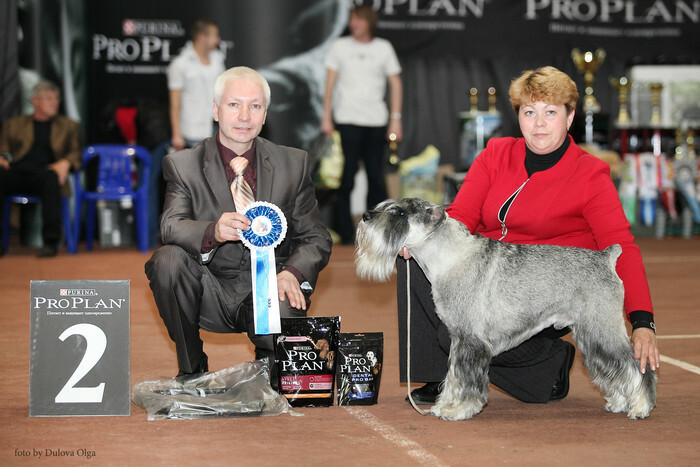 TRELS BLEIZING WINNER FOR TORNADO-SCHIV (Rus Pitmark Kaitaro * Happy Rezlark) (own. Schkabareva & Petrenko) - 1 exc., CW (junior cl. ), JCAC, Best Junior, BOB !!! TRELS WINNING WEY (Santa Kniris Fedor Schalyapin *Laky Ticket Rezlark) (own. 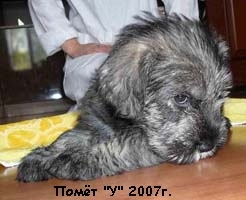 A. Trofimenko) - 1 v.p., CW (puppy cl. ), Best puppy!!! 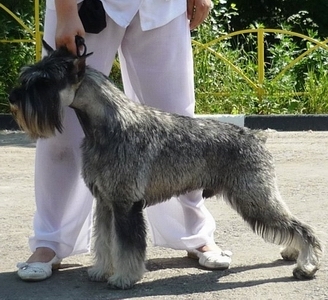 TRELS BLEIZING WINNER FOR TORNADO-SCHIV (Rus Pitmark Kaitaro * Happy Rezlark) (own. Schkabareva & Petrenko) - 1 exc., CW (junior cl. ), JCAC, Best Junior ! 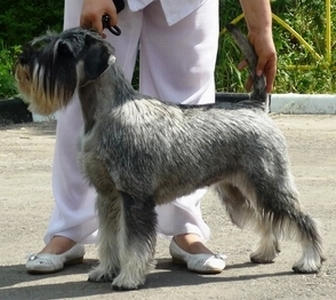 TRELS BLEIZING WINNER FOR TORNADO-SCHIV (Rus Pitmark Kaitaro * Happy Rezlark) (own. Schkabareva & Petrenko) - 1 exc., CW (junior cl. ), JCAC, Best Junior, Junior Champion of Montenegro !!! 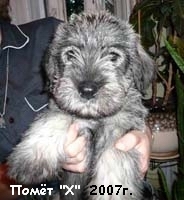 TRELS BLEIZING WINNER FOR TORNADO-SCHIV (Rus Pitmark Kaitaro * Happy Rezlark) (own. Schkabareva & Petrenko) - 1 exc., CW (junior cl. ), JCAC, Best Junior, BOB, Junior Champion of Moldova !!! 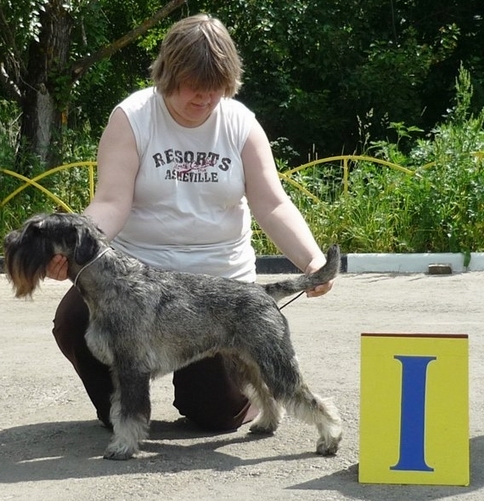 TRELS BLEIZING WINNER FOR TORNADO-SCHIV (Rus Pitmark Kaitaro * Happy Rezlark) (own. Schkabareva & Petrenko) - 1 exc., CW (junior cl. ), JCAC, Best Junior, BIS Junior - 4 !!! 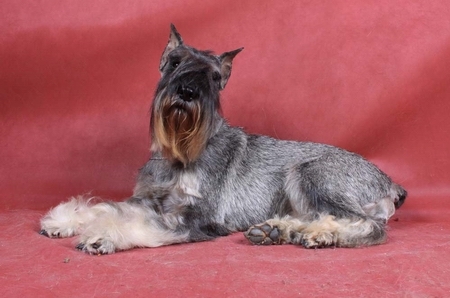 TRELS BLEIZING WINNER FOR TORNADO-SCHIV (Rus Pitmark Kaitaro * Happy Rezlark) (own. Schkabareva & Petrenko) - 1 exc., CW (junior cl. ), JCAC, Best Junior, BOB ! BIG-3 !!! 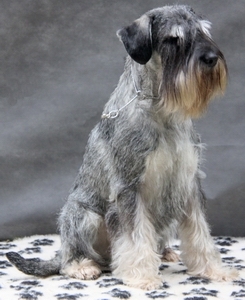 TRELS BLEIZING WINNER FOR TORNADO-SCHIV (Rus Pitmark Kaitaro * Happy Rezlark) (own. Schkabareva & Petrenko) - 1 v.p., CW (puppy cl. 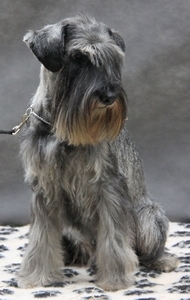 ), Best Puppy, Res.BIS Puppy !!! TRELS HEMINGWAYGELIS (Trels Esquire Frederik * Trels Ziglindagelis) (own. M. Konovalova) - 1 exc., CW (champion cl. ), CAC, BOS, CACIB, BOB !!! => Interchmpion !!! TRELS ZHERMINAL'GELIS (Seladys Perro Kauppi * Trels Zglindagelis) (own. I. Raevskaya) - 1 exc., CW (open cl. ), CAC, Res.CACIB. TRELS EASY DRIVE (Ankor Kurazh Bombastik * Trels Hedviga) (own. Trubnikova & Kupriyanova) - 2*CW (cl. champion), 2*CAC, 2*BOS, Ch. RKF, 2*BOB ! TRELS HENRY (Trels Gaidengelis * Trels Bonbon) (own. 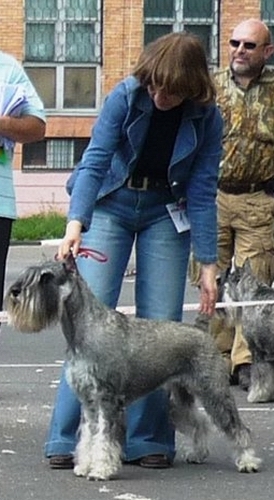 I.Trubnikova & O. Kupriyanova) - 2*Best Veteran of Breed & 2*BIS Veteran of Show ! Trels Henry & Trels Easy Drive - 2*BIS Couple of Show ! TRELS KEY STOUN (Trels Zigmundgelis * Trels Uslada dlya Glaz) - 1 exc., CW (cl. junior), Best Junior, Junior Winner Club !!! TRELS ELATED BY SUCCESS (Ankor Kurazh Bombastik * Trels Hedviga) (own. N. Maydanskaya) - 1 exc., CW (winner cl. ), CCC ! TRELS EXCELENT KING (Dinamunde Talivaldis * Trels Olvka Extra Klass) (own. O. Komarova) - 1 exc., CW (open cl. ), CCC !!! TRELS HENRY (Trels Gaidengelis * Trels Bonbon) (own. 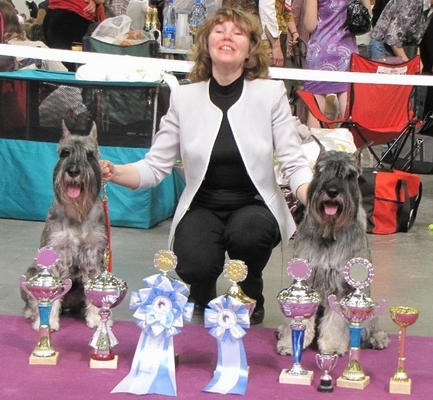 I.Trubnikova & O. Kupriyanova) - Best Veteran of Breed & BIS Veteran of Show ! TRELS ZAZNOBA GREDZHI (Trels Zigmundgelis * Trels Alexandria) (own. L. Soldatova) - 2 exc. (intermedia cl. ), CQ ! TRELS ZHERMINAL'GELIS (Seladys Perro Kauppi * Trels Zglindagelis) (own. I. Raevskaya) - 1 exc., CW (open cl. ), CCC ! TRELS EASY DRIVE (Ankor Kurazh Bombastik * Trels Hedviga) (own. Trubnikova & Kupriyanova) - 1 exc., CW (winner cl. ), CCC ! TRELS TAYNA VLADA (Trels Zigmundgelis * Trels Juventa Vlada) (own. Laktionov) - 1 exc., CW (champion cl. ), CCC ! Trels Henry & Trels Easy Drive - Best Couple ! BIS KENNEL - Kennel "TRELS" !!! TRELS ALWEYS THE FIRST - 1 exc., CW, BOS, CC ! TRELS KEY STOUN (Trels Zigmundgelis * Trels Uslada dlya Glaz) - 1 exc., CW (cl. junior), JCAC, Best Junior, BIS Jun-4 !!! TRELS HENRY (Trels Gaidengelis * Trels Bonbon) (own. 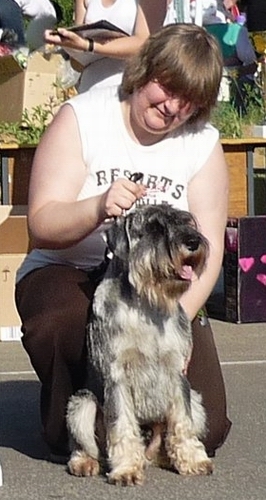 I.Trubnikova & O. Kupriyanova) - Best Veteran of Breed & Res.BIS Veteran ! TRELS EASY DRIVE (Ankor Kurazh Bombastik * Trels Hedviga) (own. Trubnikova & Kupriyanova) - 1 exc., CW (champion cl. ), CAC, BOS ! TRELS YANICHARGELIS (Trels Esquire Frederik * Trels Gerchil'dagelis) (own. M. Kadocnikova) - 1 exc., CW (veteran cl. ), Best Veteran, BOB, Res.BIG !!! TRELS YANICHARGELIS (Trels Esquire Frederik * Trels Gerchil'dagelis) (own. M. Kadocnikova) - 1 exc., CW (veteran cl. ), Best Veteran, BOB, BIS Veteran !!! TRELS YANICHARGELIS (Trels Esquire Frederik * Trels Gerchil'dagelis) (own. M. Kadocnikova) - 1 exc., CW (veteran cl. ), Best Veteran, BIS Veteran !!! TRELS VINCENTA AVE CONCORDE (Oakwood Cortaillod Schooner * Karolina Vincenta) (own. E. Lipatpva) - 1 exc., CW (champion cl. ), CAC, CACIB, BOS ! TRELS EASY DRIVE (Ankor Kurazh Bombastik * Trels Hedviga) (own. Trubnikova & Kupriyanova) - 1 exc., CW (open cl. ), CAC, Champion of Belarusi ! TRELS VINCENTA AVE CONCORDE (Oakwood Cortaillod Schooner * Karolina Vincenta) (own. E. Lipatpva) - 1 exc., CW (champion cl. ), CAC, CACIB, BOS ! Champion of Belarusi ! TRELS KEY STOUN (Trels Zigmundgelis * Trels Uslada dlya Glaz) - 2*1 exc., 2*CW (cl. junior), 2*JCAC, 2*Best Junior ! TRELS OVITEL' POWER (Trels Esquire Frederik * Trels Evlampia Kudesnica) - 2*1 exc., 2*CW (cl. open), 2*CAC, 2*BOS, 2*BOB ! TRELS SCHON ENIGSTEN (Grey Tetis Saymon Bery * Trels Princessagelis) (own. I. Raevskaya) - 1 ex., CW (open cl. ), CCC, CC ISPU, Best Male, Champion of Club, Ch. RPSU !!! 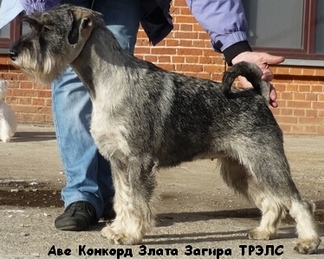 TRELS EURO STAR (Ankor Kurazh Bombastik * Trels Hedviga) (own.Trubnikova & Loginova) - 2 ex. (open cl. ), CQ, CC ISPU, CC RPSU ! TRELS FIGARO (Ferdinan Leader Concorde * Trels Zigrunagelis) - 3 ex. (open cl. ), CQ, CC ISPU, CC RPSU ! TRELS DIMITRUS CASSUSS (Top Target National Pride * Trels O`Chara Skarlet) (own. Goretova I.) - 4 ex. (open cl. ), CQ, CC ISPU, CC RPSU ! TRELS ZHAN-ZHAK RUSSOGELIS (Seladys Perro Kauppi * Trels Ziglindagelis) (own. Konovalova M.) - 1 ex., CW (winner cl. ), CCC, CC ISPU, CC RPSU ! TRELS HEL'SINGGELIS (Trels Esquire Frederick * Trels Ziglindagelis) (own. Uspenskaya L.) - 2 ex. (champion cl. ), CQ, CC ISPU ! TRELS HEMINGWAYGELIS (Trels Esquire Frederik * Trels Ziglindagelis) (own. M. Konovalova) - 2 ex. (champion club cl. ), CC ISPU ! TRELS EASY DRIVE (Ankor Kurazh Bombastik * Trels Hedviga) (own. Trubnikova & Kupriyanova) - 1 ex., CW (winner cl. ), CCC, CC ISPU, CC RPSU ! TRELS ZHERMINAL'GELIS (Seladys Perro Kauppi * Trels Zglindagelis) (own. I. Raevskaya) - 1 ex., CW (open cl. ), CCC, CC ISPU, CC RPSU ! TRELS VINCENTA AVE CONCORDE (Oakwood Cortaillod Schooner * Karolina Vincenta) (own. E. Lipatpva) - 2 ex. (open cl. ), CCC, CC ISPU ! TRELS TERRA INCOGNITA (Trels Zigmundgelis * Trels Juventa Vlada) (own. Laktionov) - 1 ex., CW (champion cl. ), CCC, CC ISPU, Best Female, Champion of Club, Ch. RPSU !!! TRELS ZIGLINDAGELIS Chivas Grand Calvera * Trels Gerhildagelis) (own. T. Lisanskaya) - 1 ex., CW (champion club cl. ), CC ISPU ! TRELS ZHARPTICAGELIS (Seladys Perro Kauppi * Trels Ziglindagelis) (own. T. Lisanskaya) - 2 ex. (champion club cl. ), CC ISPU ! TRELS YUVENTA VLADA (Trels Esquire Frederik * Epoha Kurabo Tootsie) (own. Laktionov) - 1 ex., CW (veteran cl. ), CC ISPU veteran ! 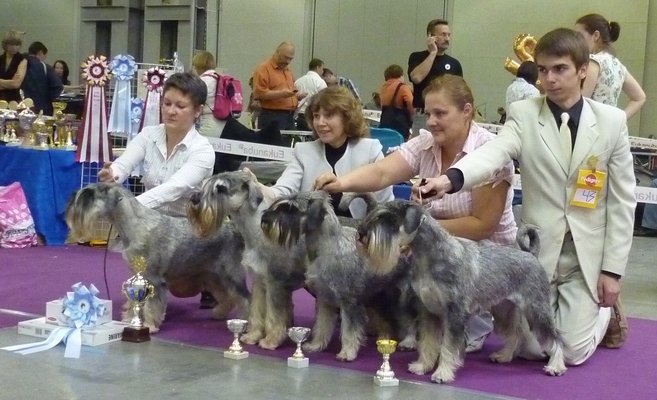 Kennel "TRELS" - BIS KENNEL of Show !!! TRELS ZIGLINDAGELIS & her children BETS PROGENY !!! TRELS DIMITRUS CASSUSS (Top Target National Pride * Trels O`Chara Skarlet) (own. Goretova I.) - 1 ex., CW (open cl. ), CAC, BOS ! TRELS EASY DRIVE (Ankor Kurazh Bombastik * Trels Hedviga) (own. Trubnikova & Kupriyanova) - 1 ex., CW (intermedia cl. ), CAC, BOS, BOB, Res.BIG !!! TRELS HENRY (Trels Gaidengelis * Trels Bonbon) (own. 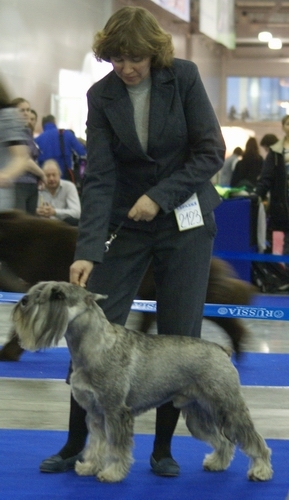 I.Trubnikova & O. Kupriyanova) - Best Veteran of Breed & BIS Veteran ! Trels Henry & Trels Easy Drive - Best Couple of Show ! TRELS DIMITRUS CASSUSS (Top Target National Pride * Trels O`Chara Skarlet) (own. Goretova I.) - 1 ex., CW (open cl. ), CAC, BOS, BOB, Res.BIG !!! TRELS EMPEROR SILVER (Ankor Kurazh Bombastik * Trels Hedviga) (own. Boyko N.) - 1 ex., CW (open cl. ), CAC, BOS, BOB ! TRELS EASY DRIVE (Ankor Kurazh Bombastik * Trels Hedviga) (own. I.Trubnikova & O. Kupriyanova) - 1 ex., CW (open cl. ), CAC, BOS, BOB ! TRELS EURO STAR, TRELS EASY DRIVE & TRELS HENRY. 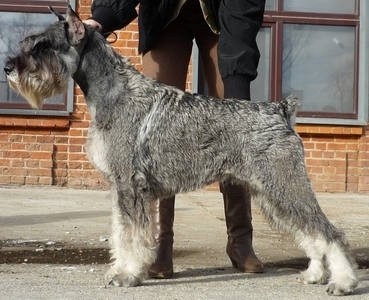 TRELS EURO STAR (Ankor Kurazh Bombastik * Trels Hedviga) (own.Trubnikova & Loginova) - 1 ex., CW (champion cl. ), CAC, CACIB, BOS, BOB ! Champion of Macedonia ! TRELS EASY DRIVE (Ankor Kurazh Bombastik * Trels Hedviga) (own. I.Trubnikova & O. Kupriyanova) - 1 ex., CW (champion cl. ), CAC, CACIB, BOS ! Champion of Macedonia ! 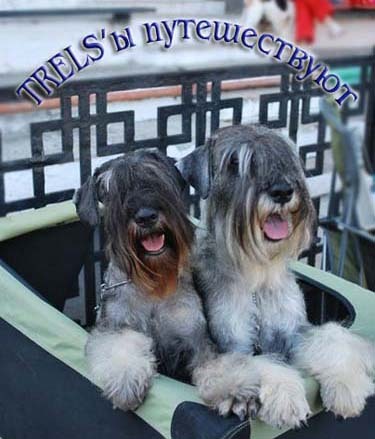 Kennel "TRELS" - Res.BIS KENNEL of Show !!! TRELS HENRY (Trels Gaidengelis * Trels Bonbon) (own. 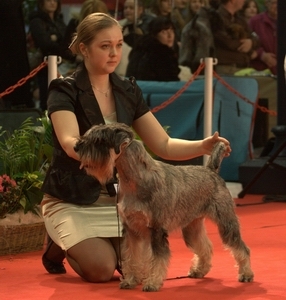 I.Trubnikova & O. Kupriyanova) - Best Veteran of Breed & BOB ! BIS Veteran ! BIG-3 ! 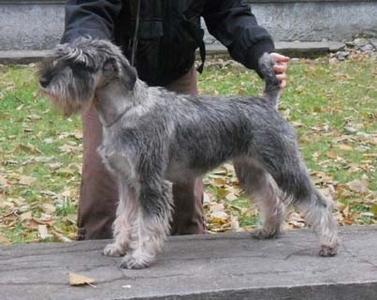 TRELS EURO STAR (Ankor Kurazh Bombastik * Trels Hedviga) (own.Trubnikova & Loginova) - 1 ex., CW (champion cl. ), CAC, CACIB, BOS ! Champion of Serbia ! TRELS EASY DRIVE (Ankor Kurazh Bombastik * Trels Hedviga) (own. I.Trubnikova & O. Kupriyanova) - 1 ex., CW (champion cl. ), CAC, CACIB, BOS, BOB ! Champion of Serbia ! 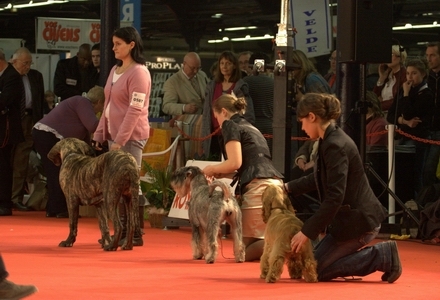 Kennel "TRELS" - 3-d place BIS KENNEL of Show!!! TRELS HENRY - BIS Veteran!!! 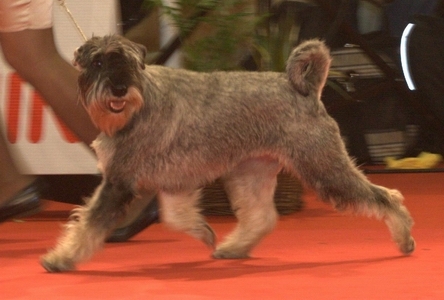 zwergschnauzer RUS PITMARK NOBEL PRIZE. TRELS EXCELENT KING (Dinamunde Talivaldis * Trels Olvka Extra Klass) (own. O. Komarova) - 1 ex., CW (open cl. ), CAC, CACIB, BOS, BOB !Interchampion ! TRELS ZHERMINAL'GELIS (Seladys Perro Kauppi * Trels Zglindagelis) (own. I. Raevskaya) - 1 ex., CW (open cl. ), CAC, CACIB, BOS ! RUS PITMARK NOBEL PRIZE (Chelines Expressamente Mio * Rus Pitmark Mia Cosa Nostra) (own. S. Kalenova) - 1 ex., CW (junior cl. ), JCAC, Best Junior ! Jun. Champion of Serbia ! TRELS EXCELENT KING (Dinamunde Talivaldis * Trels Olvka Extra Klass) (own. O. Komarova) - 1 ex., CW (open cl. ), CAC, BOS, BOB ! Champion of Serbia ! TRELS ZHERMINAL'GELIS (Seladys Perro Kauppi * Trels Zglindagelis) (own. I. Raevskaya) - 1 ex., CW (open cl. ), CAC, BOS ! Champion of Serbia ! RUS PITMARK NOBEL PRIZE (Chelines Expressamente Mio * Rus Pitmark Mia Cosa Nostra) (own. S. Kalenova) - 1 ex., CW (junior cl. ), JCAC, Best Junior, BOB ! TRELS EXCELENT KING (Dinamunde Talivaldis * Trels Olvka Extra Klass) (own. O. Komarova) - 1 ex., CW (open cl. ), CAC, CACIB, BOS, BOB ! Champion of Bulgaria ! TRELS ZHERMINAL'GELIS (Seladys Perro Kauppi * Trels Zglindagelis) (own. I. Raevskaya) - 1 ex., CW (open cl. ), CAC, CACIB, BOS ! Champion of Bulgaria ! RUS PITMARK NOBEL PRIZE (Chelines Expressamente Mio * Rus Pitmark Mia Cosa Nostra) (own. S. Kalenova) - 1 ex., CW (junior cl. ), JCAC, Jun. Champion of Bulgaria ! TRELS EXCELENT KING (Dinamunde Talivaldis * Trels Olvka Extra Klass) (own. O. Komarova) - 1 ex., CW (open cl. ), CAC, BOS ! Champion of Ceorgia ! TRELS ZHERMINAL'GELIS (Seladys Perro Kauppi * Trels Zglindagelis) (own. I. Raevskaya) - 1 ex., CW (open cl. 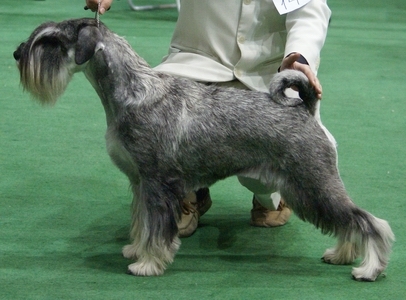 ), CAC, Champion of Ceorgia ! RUS PITMARK NOBEL PRIZE (Chelines Expressamente Mio * Rus Pitmark Mia Cosa Nostra) (own. S. Kalenova) - 1 ex., CW (junior cl. ), JCAC, Best Junior ! BOB ! BIS Jun-3 ! Jun. Champion of Ceorgia ! TRELS EXCELENT KING (Dinamunde Talivaldis * Trels Olvka Extra Klass) (own. O. Komarova) - 1 ex., CW (open cl. ), CAC, BOS, BOB ! Champion of Moldova ! TRELS ZHERMINAL'GELIS (Seladys Perro Kauppi * Trels Zglindagelis) (own. I. Raevskaya) - 1 ex., CW (open cl. ), CAC, Champion of Moldova ! RUS PITMARK NOBEL PRIZE (Chelines Expressamente Mio * Rus Pitmark Mia Cosa Nostra) (own. S. Kalenova) - 1 ex., CW (junior cl. ), JCAC, Best Junior ! BIS Jun-4 ! Jun. Champion of Moldova ! TRELS EXCELENT KING (Dinamunde Talivaldis * Trels Olvka Extra Klass) (own. O. Komarova) - 1 ex., CW (open cl. ), CAC, BOS, BOB ! Champion of Bulgaria Club ! Grand Ch. of Bulgaria ! TRELS ZHERMINAL'GELIS (Seladys Perro Kauppi * Trels Zglindagelis) (own. I. Raevskaya) - 1 ex., CW (open cl. ), CAC, BOS ! Champion of Bulgaria Club ! Grand Ch. of Bulgaria ! RUS PITMARK NOBEL PRIZE (Chelines Expressamente Mio * Rus Pitmark Mia Cosa Nostra) (own. S. Kalenova) - 1 ex., CW (junior cl. ), JCAC, Best Junior ! Jun. Champion of Bulgaria Club ! Jun. Grand Ch. of Bulgaria ! TRELS ZHERMINAL'GELIS (Seladys Perro Kauppi * Trels Zglindagelis) (own. I. Raevskaya) - 1 ex., CW (open cl. ), CAC, Res.CACIB, BALKAN WINNER !!! 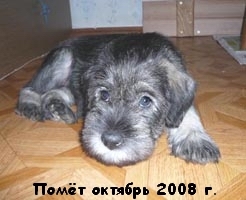 RUS PITMARK NOBEL PRIZE (Chelines Expressamente Mio * Rus Pitmark Mia Cosa Nostra) (own. S. Kalenova) - 1 ex., CW (junior cl. ), JCAC, JUNIOR BALKAN WINNER!!! TRELS ZHERMINAL'GELIS (Seladys Perro Kauppi * Trels Zglindagelis) (own. I. Raevskaya) - 1 ex., CW (open cl. 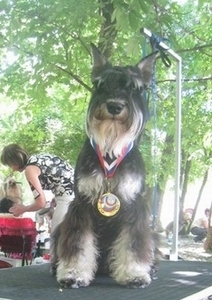 ), CAC, Res.CACIB, Champion of Romania ! RUS PITMARK NOBEL PRIZE (Chelines Expressamente Mio * Rus Pitmark Mia Cosa Nostra) (own. S. Kalenova) - 1 ex., CW (junior cl. ), JCAC, Best Junior ! Jun. Champion of Romania ! TRELS EXCELENT KING (Dinamunde Talivaldis * Trels Olvka Extra Klass) (own. O. Komarova) - 1 ex., CW (open cl. ), CAC, CACIB, BOS, BOB ! Champion of Romania ! RUS PITMARK NOBEL PRIZE (Chelines Expressamente Mio * Rus Pitmark Mia Cosa Nostra) (own. S. Kalenova) - 1 ex., CW (junior cl. ), JCAC, Jun. Grand Champion of Romania ! AVE CONCORDE ZLATA ZAGIRA TRELS (Absolute Power of Daiquincy * Ave Concorde Rumba) (own. I. Paramonova) - 1 ex., CW (junior cl. ), JCAC, Best Junior ! BOB ! Jun. Grand Champion of Moldova ! AVE CONCORDE ZLATA ZAGIRA TRELS (Absolute Power of Daiquincy * Ave Concorde Rumba) (own. I. Paramonova) - 1 ex., CW (junior cl. ), JCAC, Best Junior ! BOB ! Jun. Champion of Macedonia ! AVE CONCORDE ZLATA ZAGIRA TRELS (Absolute Power of Daiquincy * Ave Concorde Rumba) (own. I. Paramonova) - 1 ex., CW (junior cl. ), JCAC, Best Junior ! Jun. Champion of Moldova ! AVE CONCORDE ZLATA ZAGIRA TRELS (Absolute Power of Daiquincy * Ave Concorde Rumba) (own. I. Paramonova) - 1 ex., CW (junior cl. ), JCAC, Best Junior ! TRELS SHERY GREY SAYMON (Grey Tetis Saymon Bery * Trels Princessagelis) (own. Z. Nesvickaya) - CAC, Champion of Latvia ! TRELS HEL'SINGGELIS (Trels Esquire Frederick * Trels Ziglindagelis) (own. Uspenskaya L.) - 1 ex., CW (open cl. ), CAC, CACIB, BOS ! Champion of Ukraina ! TRELS ZHARPTICAGELIS (Seladys Perro Kauppi * Trels Ziglindagelis) (own. T. Lisanskaya) - 1 ex., CW (intermedia cl. 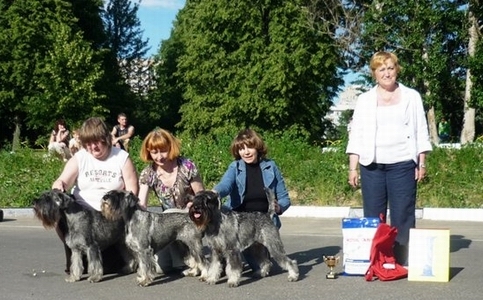 ), CAC, Res.CACIB, Grand Champion of Ukraina ! TRELS HEL'SINGGELIS (Trels Esquire Frederick * Trels Ziglindagelis) (own. Uspenskaya L.) - 1 ex., CW (open cl. ), CAC, Res. CACIB, Champion of Ukraina ! TRELS ZHARPTICAGELIS (Seladys Perro Kauppi * Trels Ziglindagelis) (own. T. Lisanskaya) - 1 ex., CW (intermedia cl. 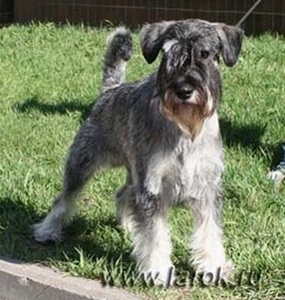 ), CAC, Res.CACIB, Champion of Ukraina ! TRELS KLEOPATRA (Trels Zigmundgelis * Trels Uslada dlya Glaz) (own. Trubnikova & Troschina) - 1 ex., CW (junior cl. ), JCAC, Best Junior ! New Junior Chamnion of Russia ! TRELS ELATED BY SUCCESS (Ankor Kurazh Bombastik * Trels Hedviga) (own. N. Maydanskaya) - 1 ex., CW (intermedia cl. ), CAC. New Chamnion of Russia ! TRELS ZHAN-ZHAK RUSSOGELIS (Seladys Perro Kauppi * Trels Ziglindagelis) (own. Konovalova M.) - 1 ex., CW (champion cl. ), CAC, BOS, BOB ! TRELS ELATED BY SUCCESS (Ankor Kurazh Bombastik * Trels Hedviga) (own. N. Maydanskaya) - 1 ex., CW (intermedia cl. ), CAC, BOS, BOB ! TRELS KLEOPATRA (Trels Zigmundgelis * Trels Uslada dlya Glaz) (own. Trubnikova & Troschina) - 1 ex., CW (junior cl. ), JCAC, Best Junior ! BOB ! AVE CONCORDE ZLATA ZAGIRA TRELS (Absolute Power of Daiquincy * Ave Concorde Rumba) (own. I. Paramonova) - 1 ex., CW (junior cl. ), JCAC, Best Junior ! BOB ! New Jun.Champion of Russia ! AVE CONCORDE ZLATA ZAGIRA TRELS (Absolute Power of Daiquincy * Ave Concorde Rumba) (own. I. Paramonova) - 1 ex., CW (junior cl. ), JCAC, Best Junior ! BOB ! TRELS HEMINGWAYGELIS (Trels Esquire Frederik * Trels Ziglindagelis) (own. M. Konovalova) - 1 ex., CW (open cl. ), CAC, Champion of Chehia ! 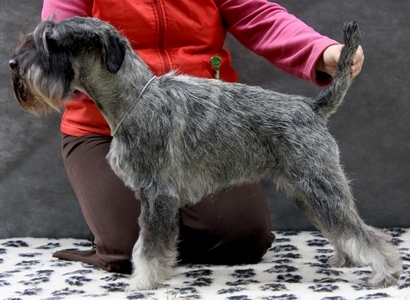 TRELS EURO STAR (Ankor Kurazh Bombastik * Trels Hedviga) (own.Trubnikova & Loginova) - 1`ex., CW (intermedia cl. ), CCC, New Champion of Club ! TRELS HEMINGWAYGELIS (Trels Esquire Frederik * Trels Ziglindagelis) (own. M. Konovalova) - 1 ex. (winner cl. ), CCC, Best Male ! Champion of Club ! TRELS ZHARPTICAGELIS (Seladys Perro Kauppi * Trels Ziglindagelis) (own. T. Lisanskaya) - 1 ex. (winner cl. ), CCC, Best Female ! Champion of Club ! BOB ! TRELS SHERY GREY SAYMON (Grey Tetis Saymon Bery * Trels Princessagelis) (own. Nesvickaya Z.) - 1`ex., CW (champion cl. ), CAC, Best male ! TRELS JUVENTA VLADA (Trels Esquire Frederik * Epoha Kurabo Tutsy) (own. V. Laktionov) - 1`ex., CW (champion cl. ), CAC, Best male ! TRELS INTELLEGENT (Trels Excelent King * Trels Olimpia Sovershennaya) (own. Kurilkina) - 1 ex., CW (junior cl. ), JCAC, Best Junior, BOB ! TRELS INTELLEGENT (Trels Excelent King * Trels Olimpia Sovershennaya) (own. Kurilkina) - 1 ex., CW (junior cl. ), JCAC, Best Junior, BOB ! New Jun.Champion of Russia ! TRELS HENRY (Trels Gaidengelis * Trels Bonbon) (own. I.Trubnikova & O. Kupriyanova) - 1 ex., CW (champion cl. ), CAC, BOS, BOB ! TRELS HEDVIGA (Trels Gaidengelis * Trels Bonbon) (own. I.Trubnikova & O. Kupriyanova) - 1 ex., CW (veteran cl. ), Best Veteran ! TRELS INTELLEGENT (Trels Excelent King * Trels Olimpia Sovershennaya) (own. Kurilkina) - 1 ex., CW (junior cl. ), JCAC, Best Junior ! TRELS KLEOPATRA (Trels Zigmundgelis * Trels Uslada dlya Glaz) (own. 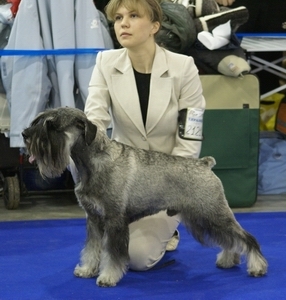 Trubnikova & Troschina) - 1 ex., CW (puppy cl. 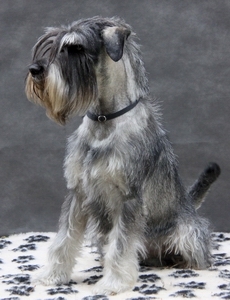 ), Best Puppy of breed ! © Copyright 2008. Kennel Trels. All Rights Reserved.